Back by popular demand, Barb Jungr with Jamie Safir & Jenny Carr – Previewing New Material’. 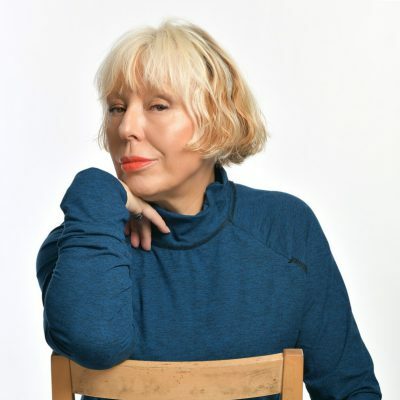 In a widely admired career that has defied categorization, musician, writer, composer, lyricist, Barb Jungr, has been critically lauded for her insightful and passionate interpretive style, described as “revelatory” by the New York Times. Her deconstruction/reconstruction of popular songs and unusual and beautiful musical arrangements are characteristics that allow the listener new insights into familiar music. In recent years, Jungr has brought her singular talents to the songbooks of Bob Dylan, Leonard Cohen, Nina Simone, Jacques Brel and more, creating the genre of the New American Songbook. In her 45 year recording career alongside many collaborations she has released 18 solo albums, many for Linn Records, receiving outstanding reviews worldwide and winning many awards. Jungr and McDaniel’s collaboration has now produced two recordings. In 2011, Jungr received the New York Nightlife Award for Outstanding Cabaret Vocalist, the Backstage Bistro Award for Best International Artist, and Time Out New York’s #1 Top Live Cabaret Act for 2011. Her powerful singing style reaches across musical boundaries and defies easy categorization. Ahead of their first album collaboration later in 2019, Barb will be joined by our very own Musical Director Jamie Safir at the piano as the pair showcase brand new arrangements alongside a selection from Barb’s acclaimed 2016 album ‘Shelter from The Storm’, which featured multi-grammy-award-winning pianist, Laurence Hobgood. Jamie Safir is a 27 year-old pianist, composer and arranger highly in-demand in jazz, pop and musical theatre in the UK. He has worked regularly with Will Young over the last 3 years and also performed with the likes of The Brand New Heavies, Olly Murs, Rebecca Ferguson & Steps. Within the London Jazz Scene, Jamie has an ongoing collaboration with award-winning vocalist Ian Shaw as well as having worked with Liane Carroll, Natalie Williams, Stan Sulzman, Iain Ballamy, Barb Jungr and the Ronnie Scott’s All Stars. He was a keyboardist in the hit 2017 musical Bat Out Of Hell and is currently Musical Director for Patti Boulaye and working on ‘The Sweetest Sounds of Rogers and Hart’ featuring Claire Moore & Robert Meadmore.